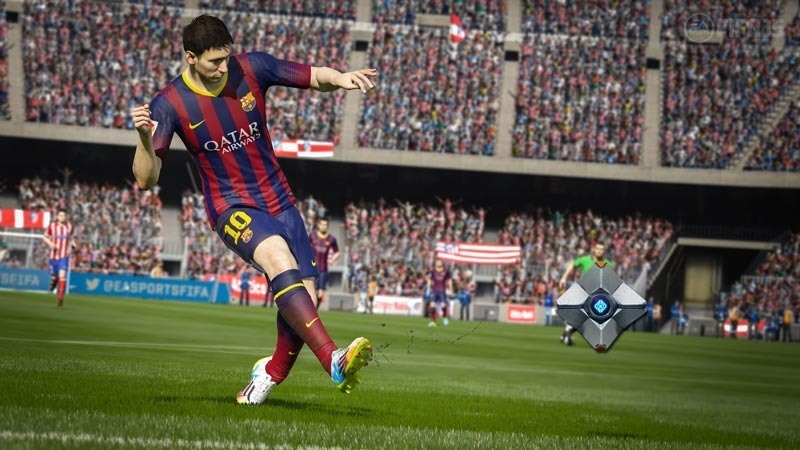 FIFA 15 is coming later this month to the new generation of consoles and PC. For a change, the PC versions is actually going to share the same underlying engine and technology as the console versions. Yes, it’ll be using the fabled Ignite Engine for more realistic everything. And you’ll be able to give it a test run today. EA’s confirmed that you’ll be able to download a demo for the footie sim on PC today, to see how it’ll run on your own PC, two weeks ahead of release. It’ll also available right now on Xbox One, and will be heading to the PSN later. On the Xbox One, it’s not locked behind some sort of subscription like EA access. Here are the recommended specs for the PC version, if you plan on getting it for your ‘puter. That’s pretty reasonable stuff. The last FIFA on Pc was a gimped version missing many of the things that made FIFA 14 different from the previous one – but this time it’ll be the same. I don’ know though; something like FIFA strikes me as a purer console experience; especially when you have 3 mates around with controllers shouting at the TV. But hey! At least those of you who won’t be playing Destiny today could be playing something new and shiny. Caveat; you’ll need to have Origin installed.